Welcome to the Green Room Sessions. Tonight is a casual evening of music at the Freight, featuring some of our favorite under-the-radar musicians and songcrafters playing in-the-round. 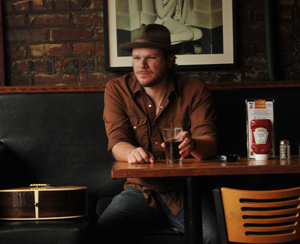 Jason Eady's musical adventures have taken him through lonesome Delta blues, church house harmonies, and poetic Americana, and delivered him to old fashioned country music. His fourth and latest album, AM Country Heaven, is classic country. "Someone’s got to keep it alive," he says, "to preserve that kind of sound. That was our aim with this record.” Born in Mississippi and based in Austin, Jason's strong, melancholy voice and mellow guitar is perfectly suited to songs about hard times, hard drinking, and lost love. Aireene Espiritu is a singer-songwriter based in Oakland and plays a mix of stompin', swayin', and timeless Americana on tenor ukulele. The core of her music is in the storytelling and down to earth vocals inspired by sounds from the South and growing up to her uncles' Filipino folk guitar fingerpicking. 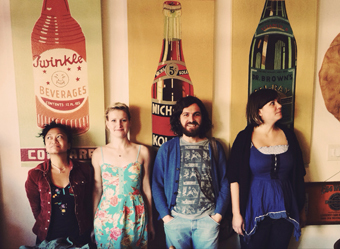 The Hobos is a London based four piece alt-folk band with vocals, accordion, banjo, guitar, bass and percussion. By fate Aireene was paired up with The Hobos this spring. 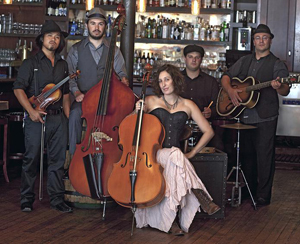 After a European tour they decided to joined forces as Aireene & The Hobos, playing the UK, Germany, and the U.S.